Ex EastEnders Star Says No To I’m A Celebrity…. 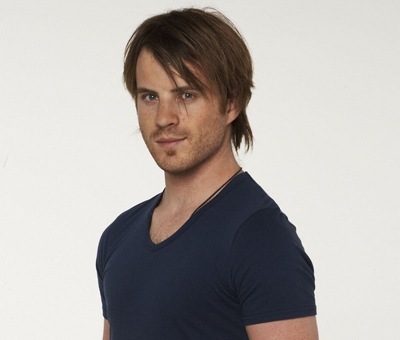 Ex-EastEnders star Rob Kazinsky has ruled out appearing on this year’s I’m A Celebrity…. The 25-year-old soap actor, who played Sean ‘Shout’ Slater (cos if you remember, all he ever did was shout) between 2006 and 2009, was linked to the ITV1 reality series by various tabloid newspapers earlier this week. Kazinsky, however, has dismissed the stories, writing on Twitter: "Me? I’m A Celeb? Am I balls! Where do they get this crap from?" (Hey, that’s just the kind of thing that you’d expect Sean’Shout’ Slater to say). Anyway, earlier this month, Rob admitted that he’s finding it tough to get TV work in the UK that is not "reality" or "celebrity" based. In an interview with TV Biz Kazinsky said: "I’ve only been offered reality and celebrity based TV here and that’s not what I’m interested in doing. I think it’s the market at the moment. There doesn’t seem to be any work around. None of my actor friends are working, it’s almost impossible…The work I’ve been doing has been more in other countries." It looks as though things have been pretty tough for Rob Kazinsky since leaving EastEnders, but from his twitter comments, I think it’s fair to say that there’s more chance of hell freezing over than of the ex soap star appearing on I’m A Celebrity. I must admit, I’m kind of relieved, cos my poor old ear drums were starting to ring again at the mere thought of Kazinsky doing a two week stint in the Australian outback. Anyway soapsters, I’m A Celebrity…returns for its ninth series on Sunday, November 15 on ITV1, so what ever you do, don’t miss it. 1 Response to Ex EastEnders Star Says No To I’m A Celebrity….